The 2018 Hyundai Elantra and Elantra GT are showing off some appealing changes for the new model year. 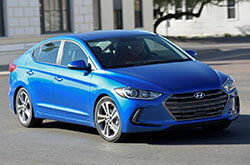 Starting with the Elantra sedan, there's a new SEL trim that takes the place of the previous SE with Popular Equipment Package; Sport trims now include standard blind spot/rear cross-traffic alert technology, lane change assist and a power sunroof; and Limited trims gain standard gloss black accents and an auto-dimming rearview mirror. 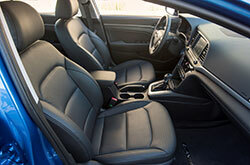 Additionally, all trim levels now receive free Blue Link services for three full years. For GT shoppers, there's also exciting news. 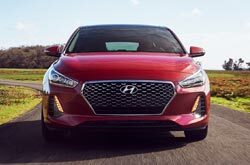 The hatchback has received an attractive design update which 2018 Hyundai Elantra reviews are buzzing about. The hatch has a lower stance and wider dimensions. It's also reduced its weight by 61 pounds and it's structure is 22 percent stiffer. 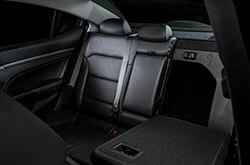 What Features Are Included on the Elantra? If you buy a 2018 Hyundai Elantra in Springfield, MO, you can opt for one of the following trims: SE, SEL, Value, Eco, Limited and Sport. Standard amenities like power accessories, a tilt/telescoping steering wheel, USB/aux inputs, an AM/FM/SiriusXM Satellite Radio/MP3 Audio System and trip computer are just the start. On select models, other appealing features are thrown in too, such as heated seats, Bluetooth, Apple CarPlay and Android Auto, and data services from SiriusXM such as NavTraffic and NavWeather. Choose the hatchback and you can select from the base GT model or GT Sport. Both offer similar equipment as the sedan lineup. What Are Elantra's Horsepower & Torque Specs? The first engine in the lineup is a 2.0-liter four-cylinder that produces 147 horsepower and 132 pound-feet of torque. If you're looking for greater efficiency, the Eco offers a 1.4-liter turbo GDI four-cylinder that'll get you 35 mpg combined according to EPA estimates. For more power, the Sport is a good pick thanks to its 1.6-liter turbocharged four-cylinder, which receives 201 hp and 195 lb-ft of torque. If you're shopping for a 2018 Hyundai Elantra in Springfield and happen to be thinking about the GT, you also have a choice of engines. 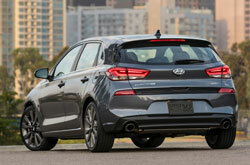 The base GT is standard with a 2.0-liter four-cylinder that generates 162 hp and 150 torque, while the GT Sport is outfitted with a 1.6-liter turbo four-cylinder that delivers 201 hp and 195 torque. What Safety Equipment Is Available on the Elantra? A long list of driver-assist technologies are available for shoppers who prioritize safety. Systems include but are not limited to blind spot monitoring with rear cross-traffic alert, automatic emergency braking with pedestrian detection, smart cruise control and lane keep assist. If purchasing an IIHS Top Safety Pick+ is also a priority, the Elantra should win your affection as well. The 2017 Elantra sedan earned this accolade and the 2018 edition is expected to as well. See the remainder of our 2018 Hyundai Elantra review below and schedule an appointment for a test drive! The Hyundai Elantra Is Here! 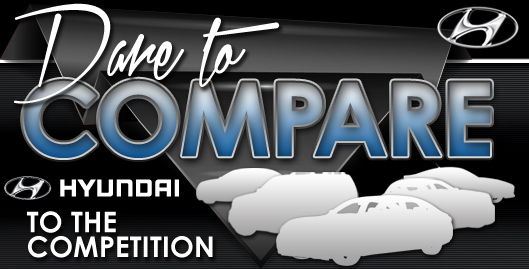 If you're not sure the 2018 Ford Focus, Chevrolet Cruze, Nissan Sentra, Toyota Corolla and the Honda Civic are suitable for you, then check out a 2018 Hyundai Elantra near Springfield. You could find that it completely meets your unique needs, with its great onboard technologies and other respected characteristics. Find out if the 2018 Hyundai Elantra is perfect for you using our report and other research tools, then browse hot-off-the-press finance and lease incentives! When you visit our Hyundai dealership, you'll find factory incentives on a large group of new and late-model-year used cars, including offers for the well-liked Hyundai Elantra. When selecting a car, it's pivotal to make a self-assured choice; that's why we've included this 2018 Hyundai Elantra review perfectly fitted on our site. It's undeniable that the fantastic new Hyundai Elantra is worth considering; visit for a test drive at Reliable Hyundai to see the brand-new model personally. Can't wait to see it at our store? Check out our video clip to take a glance at it right now!